The Baby boom generation will begin to turn 70 next year. The boomer generation kicked off in 1946 with a 22% increase in babies being born compared to the previous year. Bill Clinton, Donald Trump and Sylvester Stallone are just three of the 3.4 million babies born in 1946. As we know life expectancies have increased dramatically in the last couple of decades due to people taking better care of themselves and huge strides in the ability of the healthcare system to keep people alive longer. This will require increasing amounts of support from the boomers own children and professional caregivers. 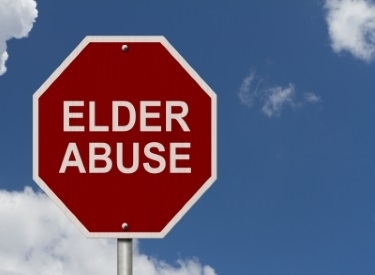 Particularly in the last 5 years or so I am seeing what seems to be an ever increasing trend of financial abuse carried out against older people. And with the baby boomers aging the number of incidents of financial abuse is probably going to increase substantially. Abuse can be any form of mistreatment that results in harm or loss but I am talking specifically about financial abuse. We all know that as we age we may succumb to mild conative impairment and other diseases that effect thinking and judgement. Also, if we live long enough we will be dependent on other people to take care of us. Either or both of these conditions puts the elderly in a very vulnerable position and opens the door for someone to take advantage of them. The most common things I see are telemarketing related where they target older people. They may have legitimate products or services that people don’t really need or they are outright scams. For example your grandson calls and he is in jail in Mexico and needs a wire transfer immediately to get out. Or your electricity or gas is going to be cut off in 30 minutes unless you get them money. There is more serious abuse like elderly people being pressured into changing their will or power of attorney by someone to get money. This happens but in my experience this rarely works in this area because most attorneys are sharp enough to spot this kind of thing and avoid it. But these are really minor compared to the financial and philological abuse that those close to an elderly person can inflict. Anyone that thinks this is not a serious problem is just not paying attention. Many elderly are put under pressure by caregivers or family members to give them money. What do you say when your kids or your grandchildren ask for money? If you say no you might not ever see them again or they may stop doing the things you depend on them to do. This kind of pressure can be torture for an older person and giving in relieves the pressure, at least temporarily. So how can you prevent this from happening to you in the future? Everyone should have a will or a trust. You should also have a financial power of attorney naming a person or an institution to take care of your financial affairs if you become impaired. Also get a healthcare power of attorney and a living will. What if you have aging parents what should you do? First, if they are still able make sure that they have the basic documents in the above paragraph. If they won’t listen to you or tell you to mind your own business get a trusted friend or advisor to help. Many times if you or a trusted person has a financial power of attorney people will know they can’t get money from your parent and will stop pressuring them or not even try. This can be a big relief and take a huge burden off an elderly person to know they don’t have to worry about finances and won’t be pressured. Beyond that there are a few things you can do to reduce the risk of your parents becoming the victims of financial abuse. Check in often. If you are unable to do it personally have friends check on them. You should also call or email but do it often and on a regular basis. Monitor who your parents have contact with and who comes into their home. These are people the elderly know and trust. Any one of them could be tempted by their own circumstances to take advantage of your parent. Do background checks on any help that comes into your parent’s home. I believe more harm is done to elderly people by people they trust than by anyone else. I believe that children especially those that live far away and don’t see their parents often can be in denial. Remember, it doesn’t matter how savvy or smart your parents are, that can erode almost overnight and your parents financial judgement can disappear.